Read this also or first? Maybe you can laugh a bit at these real awkward moments. Maybe? Too many other Christians see marriage as the ultimate goal for your life. I’ve written about that stupidity here. I can call it stupid but it doesn’t make it less real. It is real. What you are feeling is real. And here you are trying to live your life uncompromised for God and using this time as a single wisely in all areas of your life (you are, right?) but this is the constant message around you. That is tension. It becomes holy tension when you face the discomfort they are putting on you and continue to live your life to the full bravely following after Jesus. Now. Meanwhile looking around for who is keeping up with you. It doesn’t mean you have to like this though. There is holy tension because there are times when you are lonely. This is real. And this is okay. Something is not wrong with you because you are lonely at times. There is this “thing” out there that implies that loneliness is not a correct emotion to have. For many reasons to admit that you are lonely has baggage attached to it. So instead of feeling lonely you feel other things such as irritation, depression, addictive drives, and romantic cravings. These are often more acceptable and tolerable. But unhealthy. Can you change your thinking pattern of this? You are lonely. This is real. It is okay to have that emotion. But it is time to stop these unhealthy patterns. Plus remember this: Choosing dates from a lonely place greatly increases your odds to connect to people who can’t connect. This doesn’t mean you have to like being lonely though. The added ugh of holiday seasons. You just survived Valentine’s Day. Thank God (literally) it has passed and you still believe about yourself that you sparkle before and after this money-hungry holiday. But there are other holidays to come. When you get to be the only single one surrounded by couples at family/friend gatherings. When you get to be barraged by holiday advertisements all about buying gifts for that “special someone.” When you get to awkwardly smile when that distant relative asks about the latest “developments in your love life.” In a world full of married people it seems like the holidays are mostly for married people. Yet you get to celebrate holidays too. Right? But how? When you really really really want the simple thing of sharing that holiday with someone special. Is that too much to ask?!!! That is tension. It becomes holy tension when you push through the loneliness (it multiplies during holiday seasons) and awkwardness and find ways to celebrate and make great memories. Isn’t this how Friendsgiving started? And then there are weddings. Especially when it is your friends who are getting married. Added to that when you don’t even have a friend who can be your plus-one. This is tension. Same truth as holidays for you but you get the added awkwardness of people “forcing” you to catch the stupid bouquet or garter. Make this holy tension by approaching that wedding with this faith-filled hope—and daring God—to give you a blessed wedding someday. Some weddings may be a day of wrestling prayer for you. Embrace that challenge. Dare God as you bless this new couple. Why does it seem you get “blessed” (I’m being facetious) with all the special prayer times with God because you are single? It’s not because you are single. 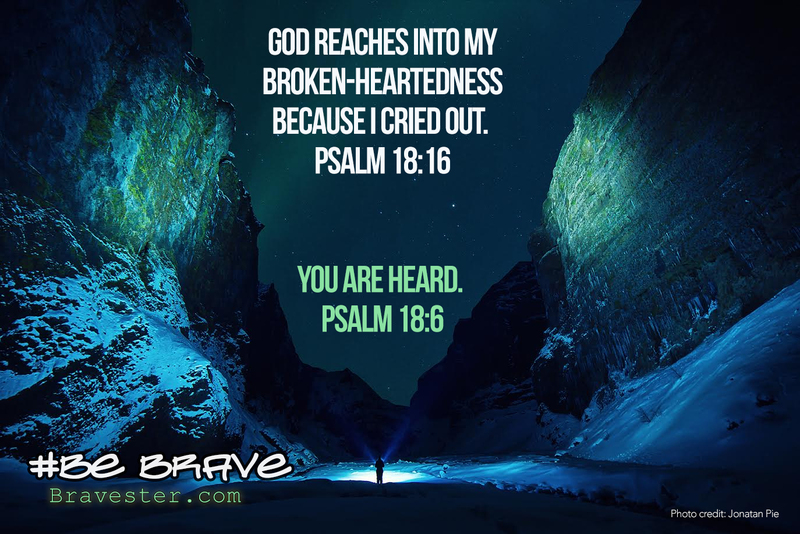 It is because you have chosen to have a brave daring faith with God. You will also have these hard and special prayer times when you are married. You are just getting lots of practice now for when it does get more difficult when you are married. Trust me, I know both sides of this. A brave faith is full of vulnerability and holy tension. If we are afraid to live in our vulnerability, we try to make everything that is uncertain to be certain. We think that being in a marriage is going to make our life certain and end this roller coaster of emotions. No. 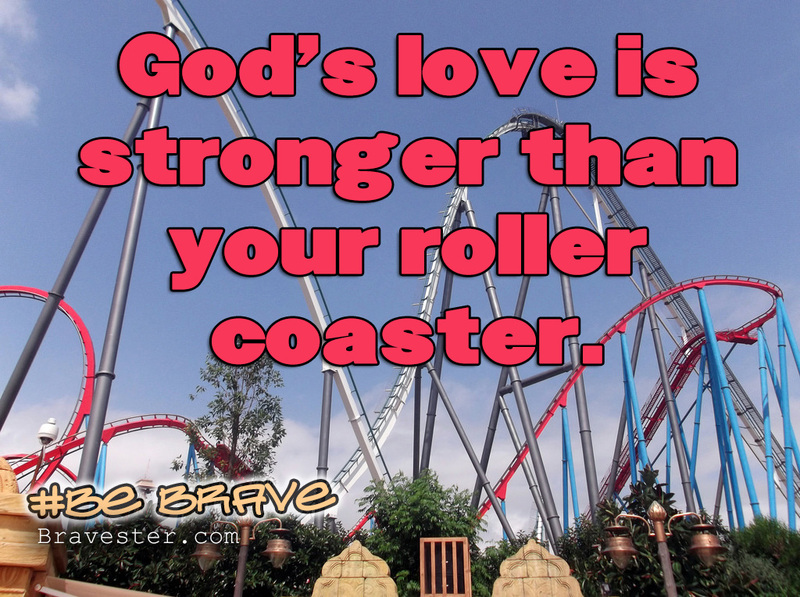 It just changes the roller coaster. This doesn’t mean you have to like that you are single now. It means that you are real and living slightly braver every day.